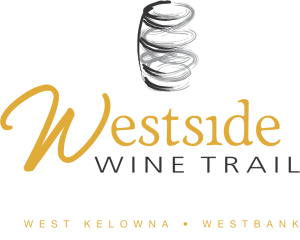 Our website address is: http://thewestsidewinetrail.com. On this website we may collect demographic data from Google’s Interest-based advertising with Google Analytics. Visitors can opt-out of Google Analytics for Display Advertising and customize Google Display Network ads using the Ads Settings. Data may be shared with third party app such as Facebook, Instagram and Twitter. The purpose of this policy is to govern West Kelowna Vintners Association’ collection, storage, use, and disclosure of personal information in a manner which recognizes both the right of individuals to protect their personal information and our need to collect, store, use, and disclose personal information for purposes reasonably related to our operations. We have designated an Employee (the “Personal Information Administrator”) to be responsible for ensuring our compliance with the requirements of the Act and we shall make available the Personal Information Administrator’s position name, title, and contact information. We have and shall continue to: develop and follow policies and practices that are necessary to ensure compliance with the Act; provide a process to respond to complaints that may arise relating to the operation of the Act; and make those practices, policies, and processes available upon request. We shall only collect, use, or disclose personal information when the individual’s consent has been obtained, or when the Act allows the collection, use, or disclosure without the individual’s consent, or when the Act deems the consent to have been given by the individual. We shall only, as a condition of supplying a product or service, require an individual to consent to our collection, use, or disclosure of personal information when that collection, use, or disclosure is reasonably necessary to provide a product or service. Where required by the Act, on or before collecting personal information about an individual we shall make available to the individual, or to such other person(s) from whom the personal information is being collected, our purposes for the collection of the personal information and the contact information for the Personal Information Administrator. We shall only use or disclose personal information for purposes which are reasonably appropriate in the circumstances and which fulfill the purposes for which the personal information was collected or which are otherwise permitted by the Act. When required by the Act we shall provide to an individual, upon request of the individual: that individual’s personal information which is under our control; details about the ways in which the individual’s personal information is being used by us; and details about the individuals and organizations to whom the individual’s personal information has been disclosed. When required by the Act, we shall correct an error or omission in the individual’s personal information and send the corrected personal information to each individual or organization to whom the individual’s personal information was disclosed in the previous one year period. If we do not change the personal information as a result of a request we shall make a notation that a change was requested. As required by the Act, we shall retain personal information for such reasonable period of time that the individual has a reasonable opportunity to obtain access to it. As required by the Act, we shall destroy documents containing personal information or remove the means by which the personal information may be associated with a particular individual when the purpose for which the personal information was collected is no longer served by its retention and the retention is no longer required for legal or business purposes. correct an error or omission in that individual’s personal information. We will endeavor to respond to the applicant within 30 days of receipt of the request. Our process to respond to complaints that may arise relating to the operation of the Act as it relates to us is set out below. An individual wishing to submit a complaint relating to our collection, storage, use, or disclosure of that individual’s personal information may submit a complaint in writing to the Personal Information Administrator within 30 days of learning of the action complained of (or within such other period of time as is reasonable in the circumstances). The Personal Information Administrator shall review complaints, give them and the underlying circumstances reasonable consideration, and provide the individual with a meaningful response within 30 days of receiving the complaint unless, due to the complexity of the complaint or other matters beyond the control of the Personal Information Administrator, reasonable further time is required. If the individual’s complaint is not resolved at the initial step set out above, the Personal Information Administrator shall, upon the individual’s written request, submit the written complaint to a senior officer, manager, or other responsible person who shall review the complaint and the Personal Information Administrator’s response to the complaint and within an additional 14 days shall provide the individual with a further, meaningful response. Where required by us for the purpose of satisfying our obligations under this process, the individual shall provide his or her co-operation and assistance to us in our efforts to understand and assess the merits of that individual’s complaint. We may dismiss a complaint for reasons including (but not limited to): the individual’s failure to raise or pursue the complaint in timely manner; the individual’s failure to abide by his or her obligations under this process; the absence of merit or reasonableness in the complaint (including frivolous or vexatious complaints); or the fact that the complaint or the proposed resolution is contrary to our obligations under the Act or under any other statute or law. Except where disclosure is necessary for the purposes of investigating a complaint, responding to the complaint or allegation, implementing a resolution, or as required by law, we shall make reasonable efforts to respect the sensitivity of the situation and to hold in confidence the individual’s identity and/or the nature of the complaint. This process does not bar or prohibit individuals from accessing their rights in another forum, including under the processes provided in the Act. Where a complaint is raised in another forum, however, we may halt (or refuse to initiate) any proceedings initiated or pending under this process.